I have read your recent report with interest. Over about half a century I have observed that government reports are sometimes dishonest, ideological, obfuscatory, authoritarian, bureaucratised, wanting in courage, illogical and sometimes downright stupid. I have to salute you sir. Your recent report appears to have set new heights in this respect. Let me take some time to explain why your report so qualifies. Under section 137.1(1) of the Criminal Code Act 1995, a person commits an offence if they give information to (i) a Commonwealth entity, or (ii) a person who is exercising powers or performing functions under, or in connection with, a law of the Commonwealth, AND the person (the source of the information) does so knowing that the information (i) is false or misleading; or (ii) omits any matter or thing without which the information is misleading. As will be seen below, your report appears to meet all of these conditions. Now I know that holding government officials to the same legal standards as apply to other citizens is considered, in official circles, to be unsporting. I also appreciate that the Prime Minister and sundry Ministers and other officials would find it enormously embarrassing were the author of your report to be taken before the courts. So I suspect the chance of you actually having to face charges is pretty slim. That does not alter the fact that your report appears in breach of section 137.1(1) of the Act in a way that would lead to penalties for less privileged mortals. omission of details of the broad social and economic impacts and different balance of payment consequences of the alternative forms of generation considered. The word “clean” occurs about 50 times in your report, particularly in conjunction with what you label a “Clean Energy Target”. This nomenclature is a stroke of which Josef Goebbels would be proud. It clearly implies that the alternative, in particular our fossil-fuel based legacy system, which is still the source of the vast majority of Australia’s electricity production, is dirty and thus ought to be replaced. It is reputed that you are a scientist. As such, you must be aware that the main emissions from fossil-fuel generators are water vapour and carbon dioxide (CO2) and not the element carbon in molecular or particulate form. 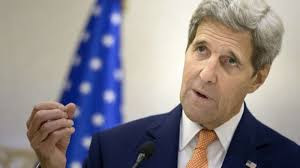 After all, the whole Anthropomorphic Global Warming thesis is about the purported impact of elevated levels of atmospheric carbon dioxide on global climate, not elevated levels of carbon. As a scientist, you must be aware that this nefarious substance, implicitly labelled “unclean” in your report, does not actually blacken or discolour clothes on the washing line; does not degrade our physical infrastructure; does not interfere with the operation of machinery; does not cause unfortunate odours; does not obscure the sky; does not irritate the skin or eyes; and does not cause harm to our lungs or other parts of the human body. In short, it does nothing that fits with what people normally understand as “unclean” or “pollution”. Indeed, you are no doubt aware that every breath you, and the rest of us, exhale has a concentration of CO2 about 100 times higher than in the atmosphere. Perhaps you intend to claim that all mankind has unclean breath on this basis. You are also undoubtedly aware that without carbon dioxide there would be no life, as we know it, on earth; that it is as essential for our life as are water, oxygen and light. You must know that, together with light and water, it is the critical input for plant life, to be converted into carbon compounds upon which our own sustenance then depends. Do you claim that water, light and oxygen are also “unclean”? you know that you have intentionally used a false label to emotionally mislead the broad majority of the community, including many politicians, about the true nature of the emissions from fossil-fuel plants. Your report refers to the closure of coal-fired power stations and anticipates continuing closures. In fact you realise this is rapidly becoming disastrous for the total electricity system so you propose a draconian rule that operators of such plants must give three years notice of closure, an authoritarian action which appears to have real problems at law. It is clear you realise the problem. But it is only possible to offer a proper solution if you are honest about the cause. And you surely know that these closures are due to the RET scheme and the massive subsidies it offers to unpredictable, intermittent electricity devices (IEDs) (i.e. the ones you quaintly call VREs), which your report does not honestly admit. Under the RET scheme, fossil-fuel generators have a single source of income, which is the money paid for the electricity they sell into the grid. IEDs have two sources, money paid for electricity sold into the grid and money paid (ultimately by electricity consumers) for the RECs the federal government authorises them to print and which electricity distributors are compelled to buy. Last year the average AEMO NSW electricity price was $51.60 per MWh. (It was $28.27 in 2000 and $81.40 so far for 2017. )1 Over the last six months, the spot price for Large-Scale Generation Certificates (LGC), mandated under the RET, has varied around $85 per MWh2. So, in that period (using rounded numbers for illustration), a coal-fired generator selling into the grid at spot prices might receive $80 per MWh supplied. However, an IED would receive the same spot price of $80 per MWh AND a further $85 per MWh from selling the RET- mandated LGC it is authorised to create for each MWh supplied into the grid. So, for selling the same amount of electricity, the coal-fired generator receives $80, while the IED receives $165. Of course, as you know, the system is even more weighted to the benefit of the IED. The spot price varies greatly even within a day but in a way that guarantees the IED provider will always receive more in total per MWh than the fossil-fuel generator because of that LGC subsidy which electricity consumers are all forced to pay. Because of the combination of the subsidies and the AEMO’s rules for supply of electricity into the grid, IEDs are effectively guaranteed to be able to sell into the grid all the electricity they produce (when the wind is blowing right or the sun is shining) while fossil-fuel generators are allowed to supply only the balance needed to meet demand, despite their capacity to provide reliable power 24/7. 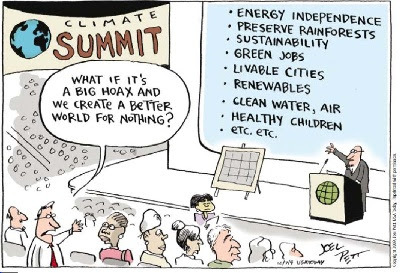 So, thanks to federal and state governments, we have a combination of market structures and subsidies which pay more money for electricity from the least reliable and most expensive generators and gives those generators privileged access to the grid, guaranteeing their proliferation while making fossil-fuel generators uneconomic. The more IEDs added to the grid, the less economic fossil-fuel generators will become, thus driving them from our electricity system and increasing both the price to electricity consumers and the unreliability and insecurity of the grid. It would be hard to devise a more perverse system if the aim is to provide low cost, secure and reliable electricity for the people of Australia – as your terms of reference specify. Failing to spell that out in a report on “the future security of the national electricity market” is clearly a material omission whose effect is to mislead and thus breach s137.1(1) of the Criminal Code Act 1995. Given that electricity prices and costs to consumers and industry are part of your terms of reference, it seems strange that your report ignores the history of electricity prices in Australia and prefers, instead, to dabble in price forecasts despite the forecasters having a history of being badly wrong. During the four decades covered in which state governments were independently responsible for producing and distributing electricity in their states, real electricity prices fell by about 45%, providing a large benefit to consumers and industry. 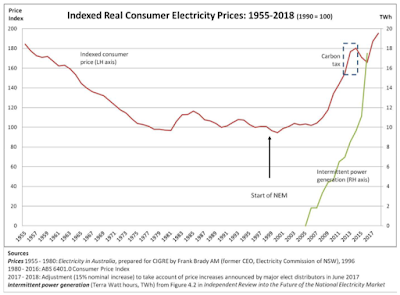 In the two decades since the inception of the National Electricity Market, which was supposed to further reduce prices, Australia has had a more than 90% increase in real electricity prices, so that they have wiped out all the gains made between the 1950s and 1990s, now exceed the real price in 1955, and appear headed “to the moon”. Most of the increase in real prices has occurred over the last decade or so and is strongly correlated with the increase in production from IEDs. I appreciate that correlation is not causation but normally in science when a correlation exists people do at least look closely to try to determine whether this is a spurious correlation or whether there is a real connection. Your report appears to intentionally avoid such a normal practice. NEM and intermittent energy, were in fact superior to what now exists in terms of price, reliability and security. Yet you have eschewed laying out this information for governments and the community, information which might lead to very different conclusions than advocated in your report. You provide no analysis as to why Australia is prevented from reverting to the benefits of low cost, reliable electricity supply and the means through which that was delivered. Instead you simply assert, without any logical argument or evidence, “There is no going back from the massive industrial, technological and economic changes facing our electricity system.” (p. 3) Yet in your own report you tell us that in 2016, 76% of electricity in the NEM came from coal-fired generators (p. 87). Including hydro and gas-fired stations, which also are on-demand, over 90% of Australia’s electricity production is still from non-intermittent generators. Despite that, you want to claim it is impossible to call a halt to the lemming-like rush to install more IEDs because “there is no going back”. It is patently obvious that if Australia wants to regain a low cost, reliable electricity supply it is in a position to do so. Certainly some of those generators will have to be replaced over time. That is the case with any industrial facility, even wind turbines. You note (p. 91) that the weighted cost of capital for coal-fired stations is now much higher than for intermittent generators. That has nothing to do with the technology per se. Cost of capital is always related to risk. The pro-intermittent, anti-fossil-fuel policies of governments, together with oscillating policies as emission fantasies keep colliding with reality, has now caused extreme risk for any private generator not backed by subsidies. Our coal-fired electricity infrastructure before the NEM actually had low cost of capital, because it was a low risk activity in government hands. Because of the uncertainty created by governments, Australia will only build more low cost, reliable electricity generators when it is either done by government or done with a take-or-pay contract with government. The only way Australia will be able to regain a low cost reliable and secure electricity supply is through the means that produced it in the past. Of course that also means abolition of the NEM and the massive army of well paid paper- pushers which have come with it. They have added nothing to the security of Australia’s electricity supply but have, as the data shows, massively inflated the cost of Australia’s electricity. They are themselves an additional expense for which consumers are forced to pay. The fact that you have failed to present and explain how Australia provided secure, low cost electricity with generally declining real prices in the more than four decades before the NEM is a major instance of presenting misleading information through omission thus a breach of s137.1(1) of the Criminal Code Act 1995. Increased organisation complexity tends to degrade performance. Australia’s electricity system pre-NEM was much simpler than that which now exists. In each state there was a unitary organisation responsible for the efficient and secure production of electricity, using a small number of high capacity plants. Likewise the transmission system was relatively simple, being focused on moving electricity from that small number of plants to end users. In addition, there was strong accountability for performance though state governments each of which was wholly in charge of producing and distributing the state’s electricity and accountable to the electorate for the reliability and price of doing so. The NEM fragmented the production components and overlaid that with multiple other organisations, each of which has an interacting role with others and each of which adds to the complexity of the whole industry. In addition, accountability to electorates has been destroyed. The industry is now notionally overseen by COAG – but citizens don’t get to vote on COAG and the results citizens experience may be predominantly determined by members of COAG other than their own state representatives. There is no direct accountability to voters by the multiple bodies each of which fiddles with the electricity system but none of which has actual overall control. Electricity supply is inherently a monopoly or oligopoly activity, especially in a small economy such as Australia’s. Pre-NEM there was a state monopoly in the hands of each state government, responsible to its voters for the discharge of that monopoly, and those local monopolies were in competition with one another to attract industry to their states. When the NEM came into being, those local monopolies were broken up but they are now reforming as an oligopoly spanning the country and not under the control of voters. You report (p. 81) that “In the period from 2009 to 2017, the major retailers have increased their share of NEM generation capacity from 15 per cent to 48 per cent”. The logic of their action, from their perspective, is unassailable. So we are in the process of replacing what were state monopolies under the control of state voters, with a three member oligopoly not under control of the voters. We are heading for greater concentration in control of electricity generation than we have in financial services, with that oligopoly being exploited to the benefit of its owners, with greater foreign control, rather than that of the citizens of states. In a chapter heroically entitled Stronger Governance, you refer to multiple institutions needing to have “shared accountability”. Anyone with the least understanding of organisations knows this is an oxymoron. “Shared accountability” means no one can actually be held to account, i.e. penalised for bad performance. Arguing for “shared accountability” to produce stronger governance is pious cant. Either there is some identified party with authority, who can be dismissed by the voters, or no one is accountable. Your “solution” to this problem is the addition of more institutions that will make the whole system even more complex and even further removed from the control of citizens. Part of your perverse “solution” is to make consumers adjust their electricity demand to fit the vagaries of production by IEDs, something which was unnecessary before subsidised IEDs were introduced to our electricity system. In a masterpiece of Orwellian language, worthy of 1984, you claim to propose “rewarding consumers” (Chapter 6) when in reality your plan is all about punishing Australians who wish to consume electricity but you will punish them a little less if they consume only at times which suit the vagaries of your system whose purpose is to foster the introduction of more IEDs. You state that “An increasing proportion of investment in new generation assets comes from individual consumers.” (p. 137) Perhaps you imagine consumers just want to adorn their rooftops with solar panels. The real reason is, of course, shown in the earlier graph, i.e. the massive and continuing increase in real electricity prices through the grid as a consequence of the explosion of IEDs, together with the incentives governments provided for people to install solar panels. That, in turn, leads to inefficient use of the electrical distribution infrastructure which still must be paid for. So under the Finkel grand plan, anyone connected to the grid will have escalating costs for being connected to it, while many spend money on home-based generation because of the ever-rising price of power purchased through the grid. What Australians want from an electricity system is pretty simple: low cost electricity which is reliably available whenever they want it. We had electricity on that basis for decades and we still want it on that basis. Instead, you offer an authoritarian system in which consumers and industry are to be coerced to adjust their demand to suit the requirements of your IED-fostering system, while paying continuously increasing real prices, already double what we once paid. This is to be provided through a fascist system of a tight oligopoly, with increasing foreign ownership, hand-in-hand with a plethora of government agencies and bureaucrats tending the needs of IEDs and the oligopoly, and wholly removed from any democratic control by the voters of either individual states or the country as a whole. It is an edifice truly worthy of 1984 or Mussolini and not the form of society for which I and many others have fought on behalf of Australia. Your report is larded with mentions of emissions and emission reduction, which do not appear in your terms of reference. The preface of your report says “COAG Energy Council asked the Review Panel to recommend enhancements to the National Electricity Market to optimise security and reliability, and to do so at lowest cost.” No mention of emissions or emission reduction in that task – but note the reference to “lowest cost”. to promote efficient investment in, and efficient operation and use of, electricity services for the long-term interests of consumers of electricity with respect to price, quality, safety, reliability, and security of supply of electricity; and the reliability, safety and security of the national electricity system. Again, no reference to emissions or emission reduction. Despite that, your report is built around reducing emissions of carbon dioxide. Given that intent plays so large a part in your report, and drives the whole structure of the electricity system you propose, it is incumbent on you to be publicly clear about what will be the actual benefit to Australia and its citizens if Australia’s carbon dioxide emissions fall as you propose. There is plenty of public evidence that even were your proposed targets to be achieved, the consequences for global temperatures and Australian temperatures would be so minute as to be effectively unmeasurable. It is also beyond dispute that your total target reductions for Australia are swamped by the increased emissions, each and every year, by both China and India, not to mention the increased emissions by other undeveloped countries with rapid increases in population. Indeed, at a Senate hearing on June 1 this year, in answer to a question from Senator Ian MacDonald, you said that totally abolishing Australia’s emissions of carbon dioxide would make virtually no difference to the world’s climate. This is information that the government and public surely need to have. Yet that fundamentally important piece of information, and the corollary that restricting carbon dioxide production in Australia will have no material benefit for the country, does not make its way into your emissions-centric report. Failing to provide honest information about that matter, which goes to the heart of the IED- driven electricity system you propose, appears to be another material omission whose effect is to mislead and thus breach s137.1(1) of the Criminal Code Act 1995. Part of the National Electricity Objective, cited above, is to produce and distribute electricity safely. You must surely be aware that there are ongoing claims of harm from wind farms to members of local communities. Certainly, some members of your panel are aware of it. I appreciate that the matter is still one of contention. However, it has been deemed significant enough by the NHMRC for that body to commission studies of the matter, as are also occurring around the world. It would be unreasonable to expect you to make a definitive statement on this point, but equally you are not in a position to be sure there are not health problems which will become more widespread if your IED-fostering policy is adopted and which might then render that policy unviable. Your report is similar to someone decades ago evaluating building materials, lauding the benefits of asbestos products for building purposes without mentioning that there are some known grounds for suspecting they may be harmful to health. It is telling that your report refers to possible safety issues in relation to battery technology, development of gas reserves, and in relation to small modular nuclear reactors but makes no mention in relation to wind farms, despite that the health effects of wind farm emissions is the only one for which the NHMRC appears to have awarded research grants. This appears to be a deliberate decision on your part to make no mention of the matter lest it be some threat to your proposed policy, and thus to be another instance of misleading by omission. Your terms of reference were focused on cost, reliability, safety and security of Australia’s electricity system. However, you chose to make emissions reduction the corner-stone of your review. That implies you impute some significant benefit from reductions in carbon dioxide emissions, though you apparently did not see the need to explain or quantify that impact. If you are broadening the scope, then reasonably you can be expected to discuss the wider economic and social impacts of your proposals and advice, something you apparently decided to ignore. 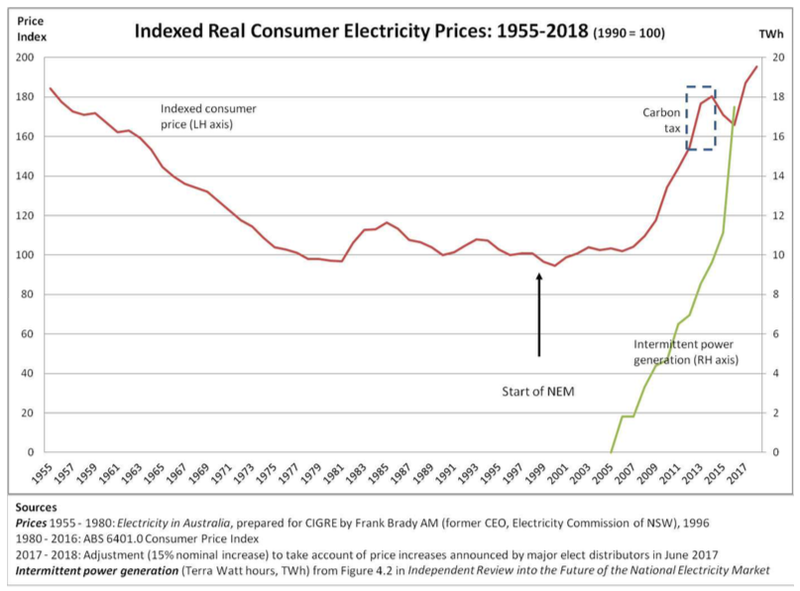 The Australian economy and its people received a very large benefit from the big reduction in real electricity prices from the 1950s to the 1990s, including support for industrial development. Conversely, they have experienced a very large disbenefit over the last decade as real electricity prices have doubled, de-industrialising the country with consequent loss of jobs and skills and with adverse balance of payment effects. Your IED-cosseting policy will inevitably further increase real electricity prices and further destroy Australian industry and jobs. There is another aspect of this policy. Not only is the full cost of IED electricity much greater than that from fossil-fuels, as our history has shown, but electricity from intermittent electricity generators is more capital intensive than from fossil-fuel generators. Since we make none of those generators, and will not, all must be imported. In the case of fossil-fuel sourced electricity, part of the cost is imported plant and part is locally produced coal or gas, of which Australia has a massive supply. In the case of IEDs, the cost is predominantly imported plant. Consequently the latter create a larger deficit on our balance of payments while the former provide good jobs, in Australia, mining and distributing the fuel used. Failure to discuss these important effects in any way again misleads about the likely consequences of the policy you advocate. It appears to subordinate the welfare of the Australian people to the interests of those associated with or for other reasons supportive of IEDs. Your report appears to breach section 137.1(1) of the Criminal Code Act 1995 in multiple, highly material, ways whose effect is to mislead while advocating a policy which lengthy historical evidence shows has created harm to the people of Australia and creates more harm the longer it is pursued. 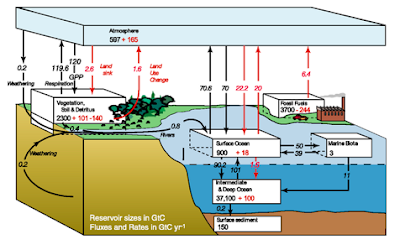 It is exemplified in the big lie about “Clean Energy” as though our fossil-fuel power sources are unclean when their predominant emissions are water vapour and carbon dioxide which is no more “unclean” than oxygen and nitrogen which, together with carbon dioxide and water vapour, form most of our atmosphere. You fail to clearly explain the perverse nature of the system which pays more money for electricity from the least reliable and most expensive generators (intermittent wind and solar) and gives those generators privileged access to the grid, guaranteeing their proliferation while making fossil-fuel generators uneconomic and driving the latter from our electricity system despite the fact that they are the ones that provide low cost, reliable power. You fail to draw attention to Australia’s history of electricity supply and its implications. That history was of a 45% reduction in real electricity prices, over about 4 decades, when state governments were responsible for the production and distribution of electricity. It has been followed by a doubling of real electricity prices since the inception of the NEM and particularly over the last decade as IEDs have become a material, though still small, part of our electricity system. You have offered no evidence that this explosion in consumer prices is going to abate under your policy. Indeed as we have seen in the last month, they are about to jump 15% or more in real terms from July 2017, something not forecast in your report. Thanks to the NEM, we already have an extremely complex electricity industry structure, which has brought no benefits to consumers, and is unaccountable to the voters of states and the country as a whole. Your policy is to make it even more complex and less accountable, which guarantees it will serve consumers even more poorly. You advocate a policy which will not only make consumers subject to even higher prices and system insecurity but require they be behaviourally coerced, despite their preferences, to fit in with the vagaries of electricity supply under your IED-cosseting policy. You ignore potential adverse safety consequences of your policy, especially involving wind farms. You also ignore the ongoing deindustrialisation of Australia driven by this policy and the adverse balance of payments effects. All of these things appear to be ignored because of your focus on reducing the emission of carbon dioxide, which was not actually part of your terms of reference, and despite the fact that you are apparently unable to quantify any material benefit to the people of Australia from such reductions. Given the opportunity to do a great service for the people of Australia and clarify the bankruptcy of energy policy over the last two decades, you have chosen to advocate more of what is failing badly, to obfuscate with more government agencies outside the control of the citizens who are being forced to pay you for this, and to advocate more authoritarian control over them. In short, your report is a travesty of what you were asked to do. Perhaps this is the best of which you were capable. Or perhaps you were overcome by a religious desire to limit atmospheric carbon dioxide, irrespective of other considerations. Or perhaps there was a want of courage to explain to the political establishment why the electricity policies of the last two decades have been so disastrous and will become even more so.